Office Space - Cartagena (Colombia), Bolivar. 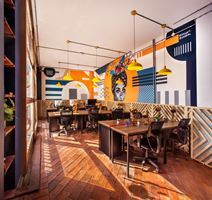 This premium coworking location, in the heart of Cartagena, offers tenants with an experience like non-other. This location provides a unique atmosphere that contributes to the successful surroundings that are offered. Flexible leasing terms are offered, ensuring that you're able to select the best option for your business. Many local attractions surround this coworking center, including restaurants and shopping centers.